Are you coming to IFSEC 2018 ? Find out the latest in Wireless Technology for Safe City, CCTV and secure Wireless networks! 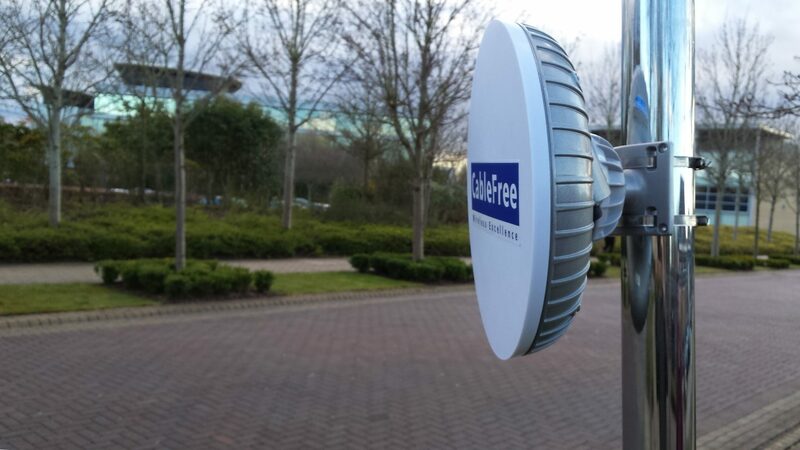 CableFree: Wireless Excellence look forward to working with you to build high performance, dependable and resilient wireless networks for CCTV, Police, Government and security networks. At IFSEC 2018 we will be showing the complete CableFree range of wireless products for CCTV and security applications including our new 10-40Gbps Millimeter Wave (MMW), AC MIMO Radio, Microwave, FSO and 4G/5G/LTE solutions. CableFree products are used in CCTV Security, Government, Defence, Oil&Gas, as well as Cellular Telecommunication Networks, Broadcast, Education and Disaster Recovery and installed in over 80 countries worldwide. Taking place in London, 19 – 21 June 2018, IFSEC International gives you exclusive hands-on access to over 10,000 security solutions, live product demonstrations, and networking with over 27,000 security professionals. Covering every aspect of security, from access control and video surveillance to smart buildings, cyber, border control and so much more, visiting IFSEC International is the perfect way to keep up to date, protect your business and enhance your career in the security industry. Borders & Infrastructure focuses directly on solutions and learning for large scale security issues across government, borders, transport and national infrastructure. CableFree products feature at the show on stand B35: CableFree – Wireless Excellence.